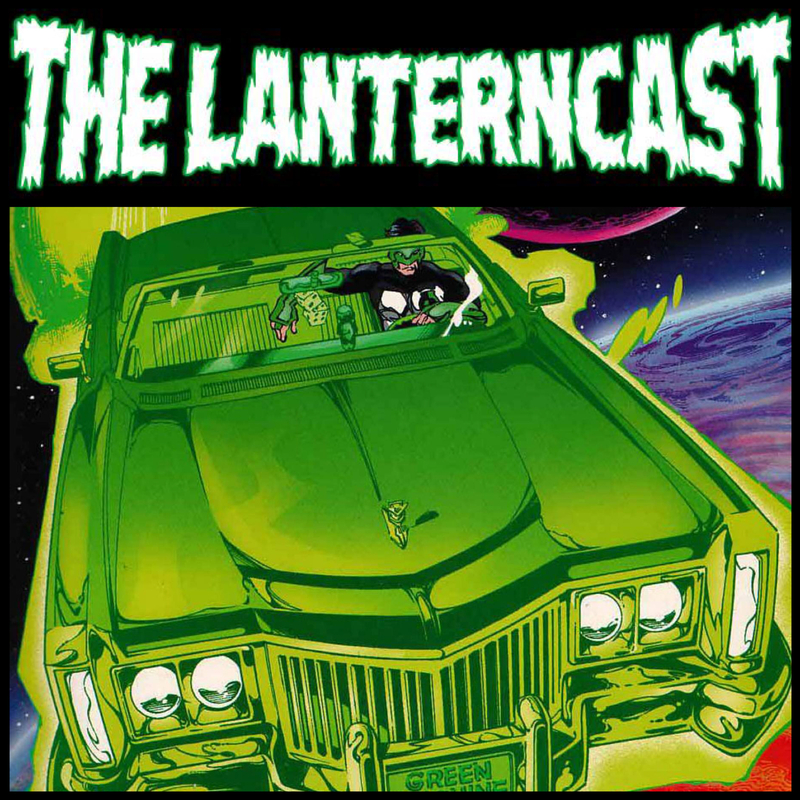 LanternCast Episode #322 – JLMay 2018 Crossover – The Silver Age: Green Lantern! 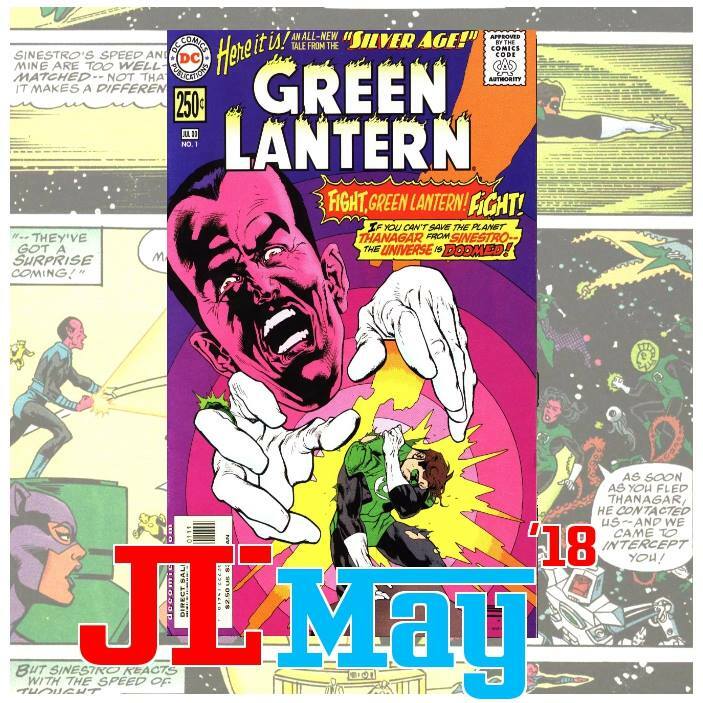 Coverage of the 2018 JLMay podcast crossover event continues RIGHT HERE with our review of the ‘Silver Age’ Green Lantern issue! What could be more fun than super-villains taking over the bodies of the Justice League? Try Hal Jordan taking them all on while controlling Sinestro’s body! WHAT?! Trust us, we’ll explain! Follow the 2018 JLMay crossover to each one of these phenomenal podcasts below! Each show will cover another issue of Silver Age this May! Please don’t forget to use the hashtag #JLMay when discussing the crossover on social media! AND ABSOLUTELY LEAVE YOUR COMMENTS ON THIS EPISODE DOWN BELOW! 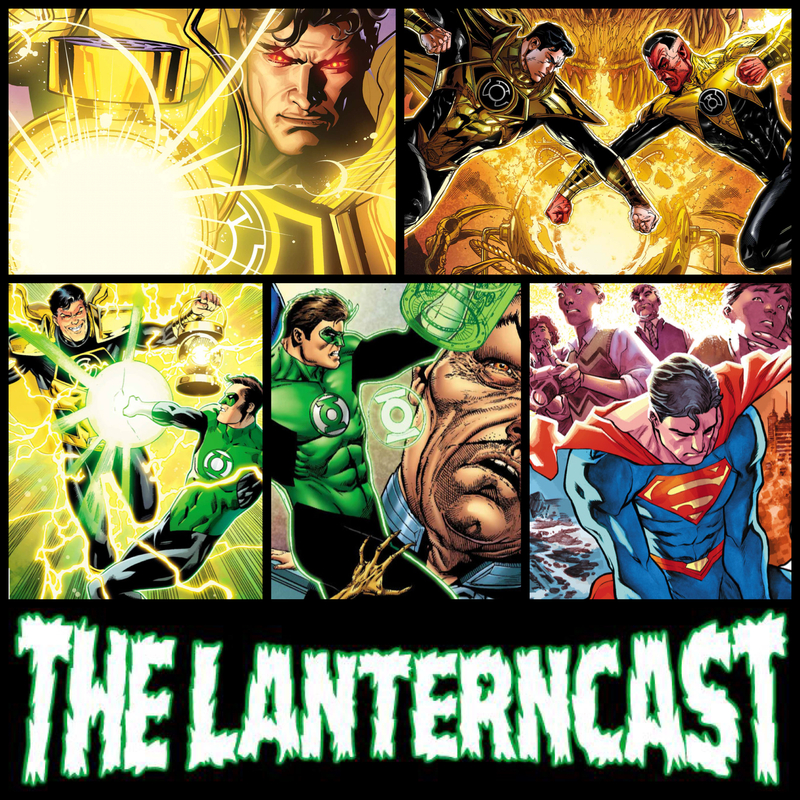 LanternCast Episode #303 – Hal Jordan and Superman Unite! Chad and Mark return to cover Superman #29-30, Hal Jordan and the Green Lantern Corps #30-31, and Action Comics #992! What do they all have in common? Superman! Superman tangles with Sinestro, Parallax and even Hal Jordan before traveling to Mogo to seek help from the Green Lantern Corps in the fallout from the “Oz Effect” story arc. There’s some last minute “Last Jedi” talk along with an odd tangent on the Rocky franchise. We know, but listen, it sorta makes sense. LanternCast Episode #299 – Green Lantern: The New Corps! 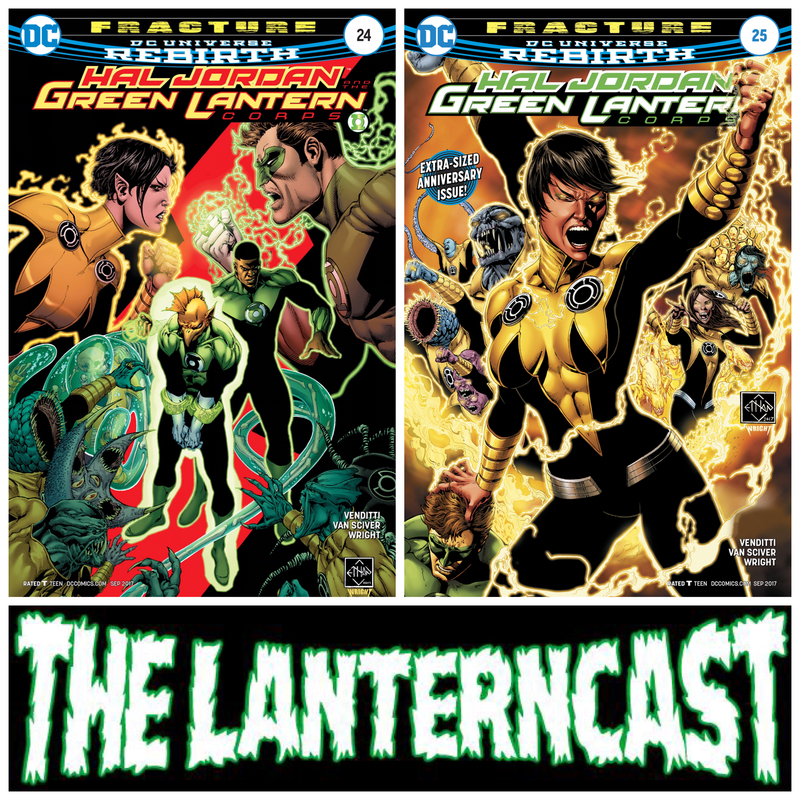 Chad and Mark turn back the hands of time to explore Kyle Rayner’s ill-fated attempt to relaunch the Green Lantern Corps in this two part Prestige Format story from 1999! We also discuss Ragman #1 and the latest “The Last Jedi” trailer! All that and listener feedback too! Episode #300 is almost upon us! Be sure to email us your thoughts or chime in on our voice-mail at 708-LANTERN! 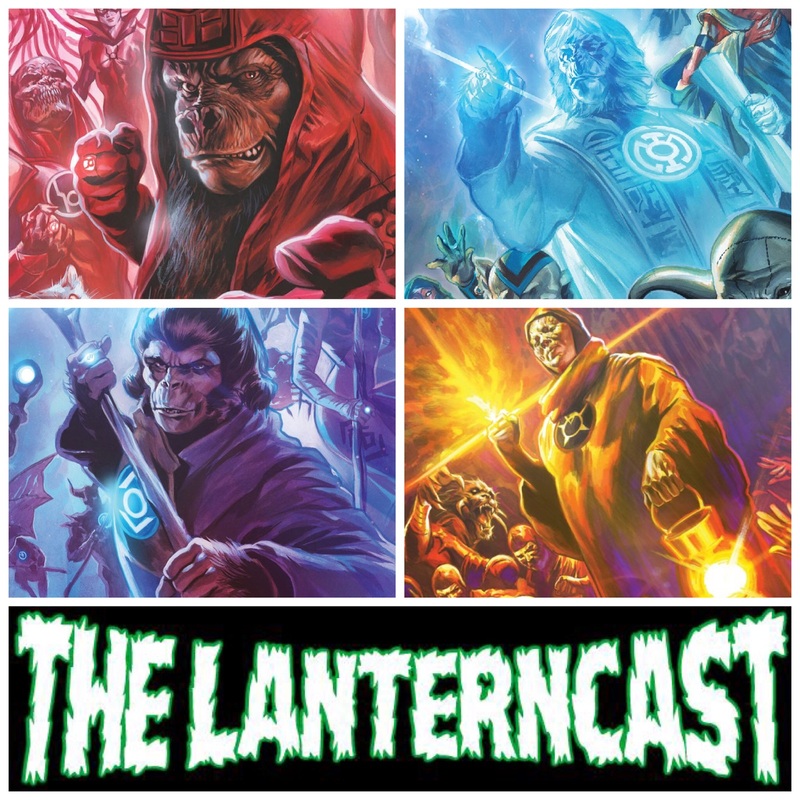 LanternCast Episode #287 – Mark and Chad “Go Ape”! The boys return to discuss all things “Planet of the Apes”! We finish off the Planet of the Apes/Green Lantern crossover with issues #3-6 before jumping into a lengthy, spoiler-filled, conversation about War for the Planet of the Apes! There’s even some time left for more spoiler-centric talk about the Games of Thrones season premiere! Be sure to email us your thoughts or chime in on our voice-mail at 708-LANTERN! 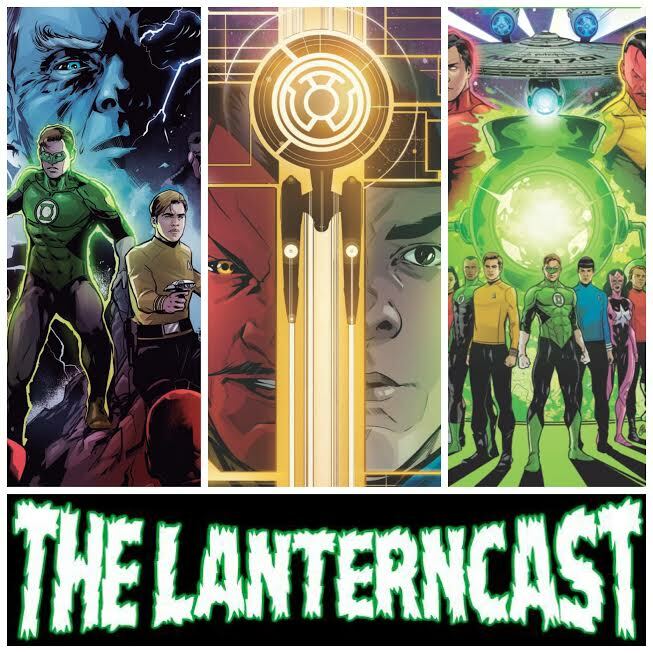 LanternCast Episode #281 – Green Lantern/Star Trek: Stranger Worlds 4-6! Chad and Mark return to wrap up the second Green Lantern/Star Trek event! Watch practically everyone in both universes race to Oa to find some kinder, gentler Guardians of the Universe and a power battery everyone has plans for! Watch Sinestro be Sinestro and Khan be Khan! Yep, it’s pretty much more of the same as issues 1-3. We also talk about The Doomsday Clock and the brand new August Solicitations that involve Green Lantern, and appropriately, Sinestro! 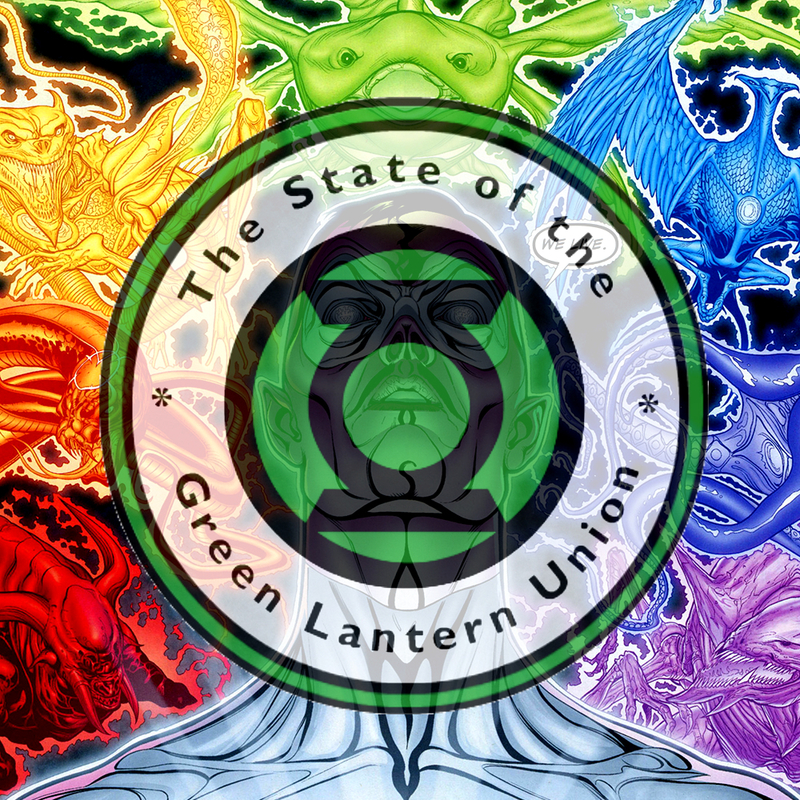 LanternCast Episode #280 – 2017 State of the Green Lantern Union! This is the big one! 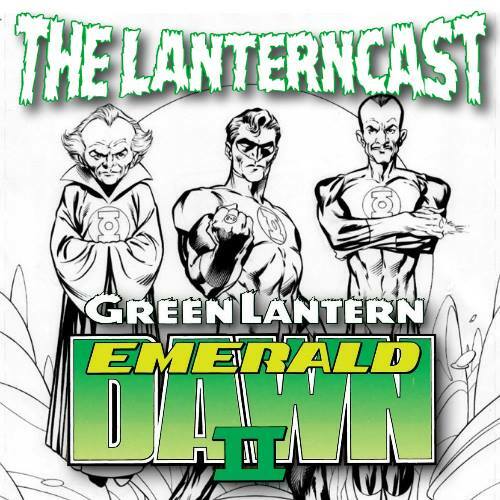 Chad and Mark welcome back Dan and Jim, as well as Myron Rumsey and Corwin Crowl, to talk about the current state of the Green Lantern Universe! Where are we now? Where are we headed? Where do we want to end up? Is Green Lanterns working as a title? Is Hal Jordan and the Green Lantern Corps too crowded? Where the hell are the Templar Guardians?? We delve into these (and many other) questions as we examine the Green Lantern franchise and brand! So take a listen and enjoy this super-sized episode! Be sure to share your thoughts on our voice-mail at 708-LANTERN! Check out the Blog of Oa by CLICKING HERE! Check out the Podcast of Oa by CLICKING HERE! Check out Earths Mightiest Podcast by CLICKING HERE! Check out the EMX podcast by CLICKING HERE! Check out the Merc with a Mouth Podcast by CLICKING HERE! 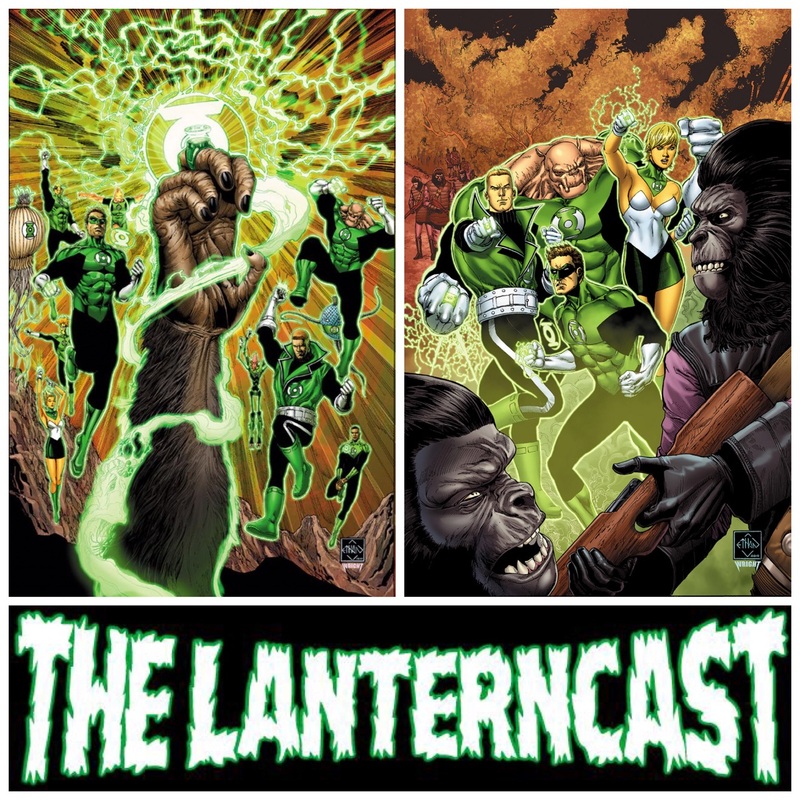 LanternCast Episode #275 – Planet of the Apes/Green Lantern #1-2! Chad and Mark return to tackle the first two parts of the Planet of the Apes/Green Lantern crossover! Sinestro just never seems to give up (or learn, for that matter) but he might have met his match in dirtbaggery when he crosses paths with Dr. Zaius. Can Hal Jordan make a monkey out of Sinestro on a planet run by apes? And what exactly is the Universal Ring and what is Cornelius doing with it?? Join us and find out! We also have time for listener feedback as well! Be sure to email us your thoughts or chime in on our voice-mail at 708-LANTERN! 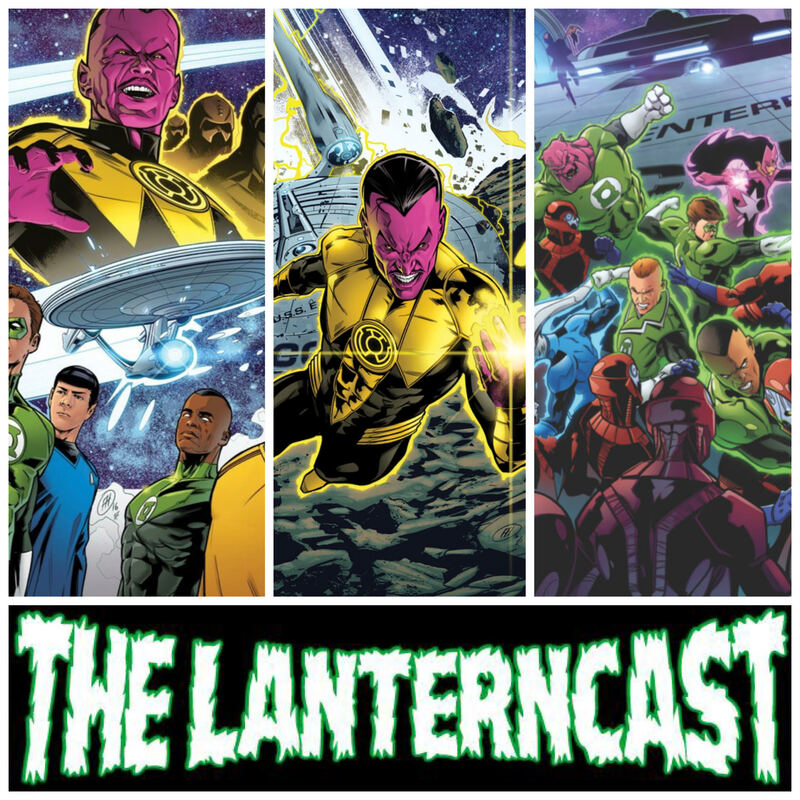 LanternCast Episode #273 – Green Lantern/Star Trek: Stranger Worlds 1-3! Chad and Mark return to tackle the first three parts of this “epic” crossover. See Carol “Any port in a storm” Ferris find a new man! See Saint Walker be useless again! See Larfleeze look like a werewolf! You get the idea. There’s also some Iron Fist and Venom talk to wrap up the episode, so that’s something!